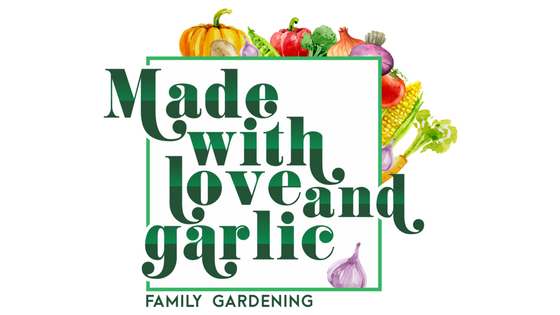 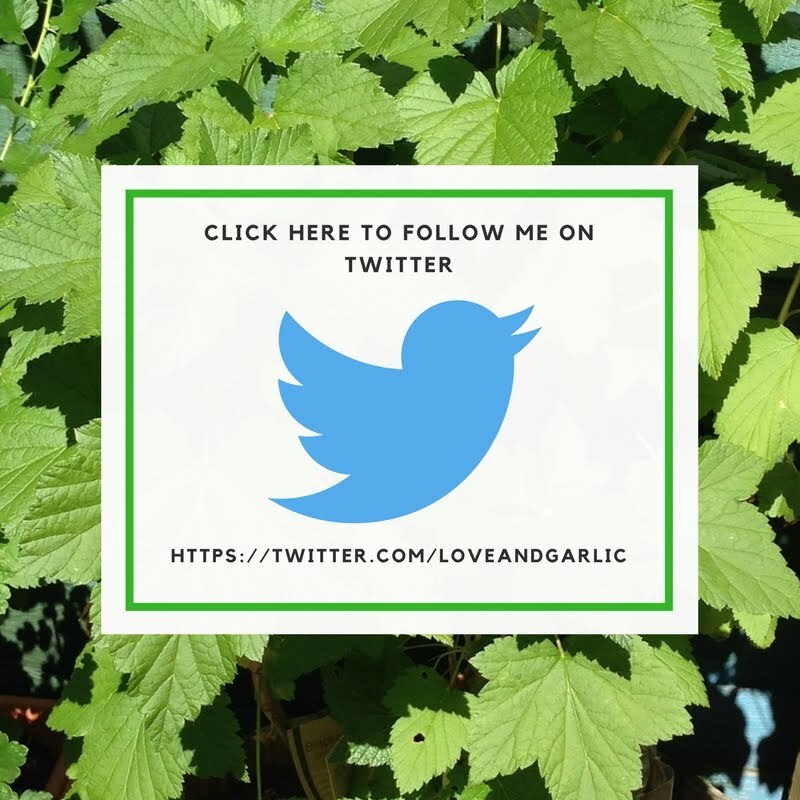 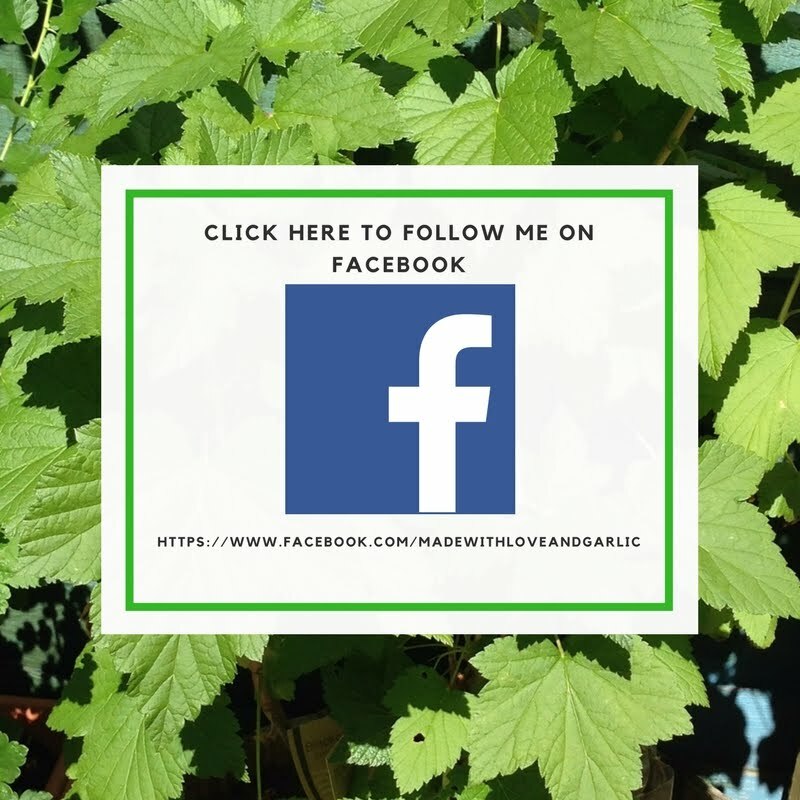 I've always tried to incorporate our own produce into my cooking but there are times where what we get from our tiny garden sadly just isn't enough for any one project. 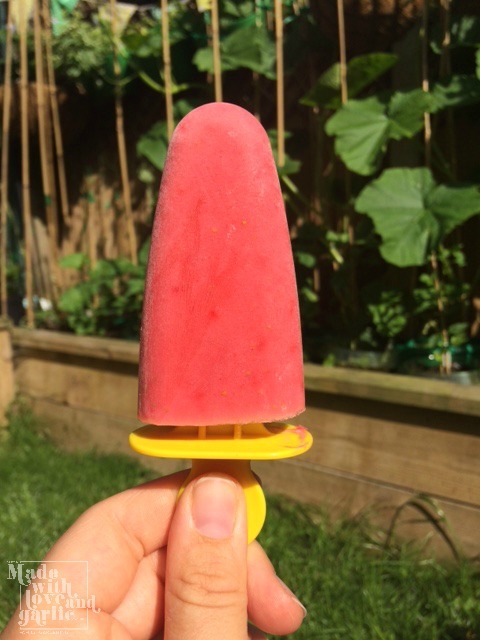 Take, for example, strawberry ice pops. 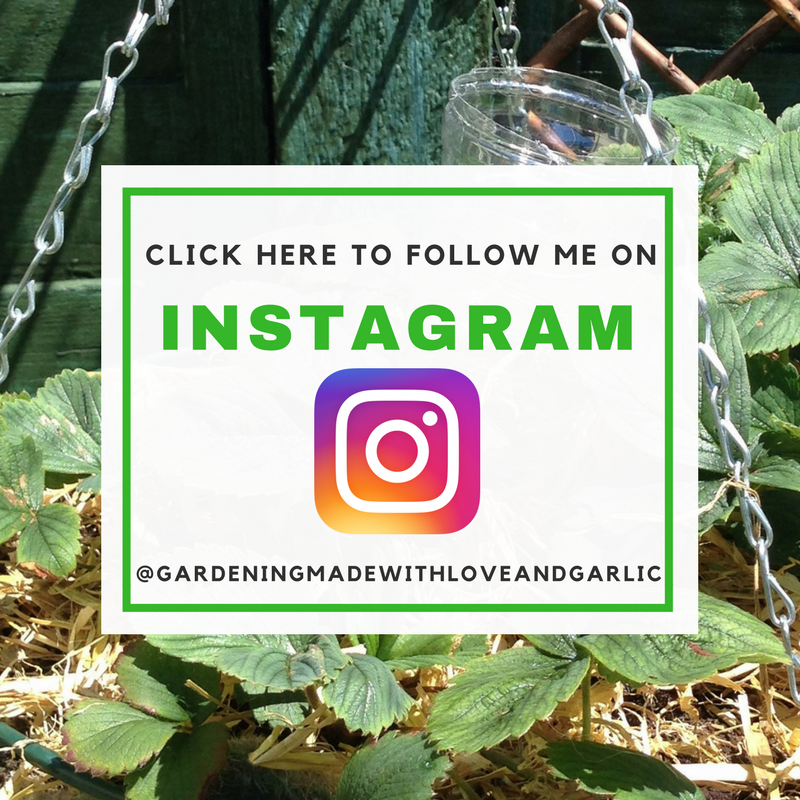 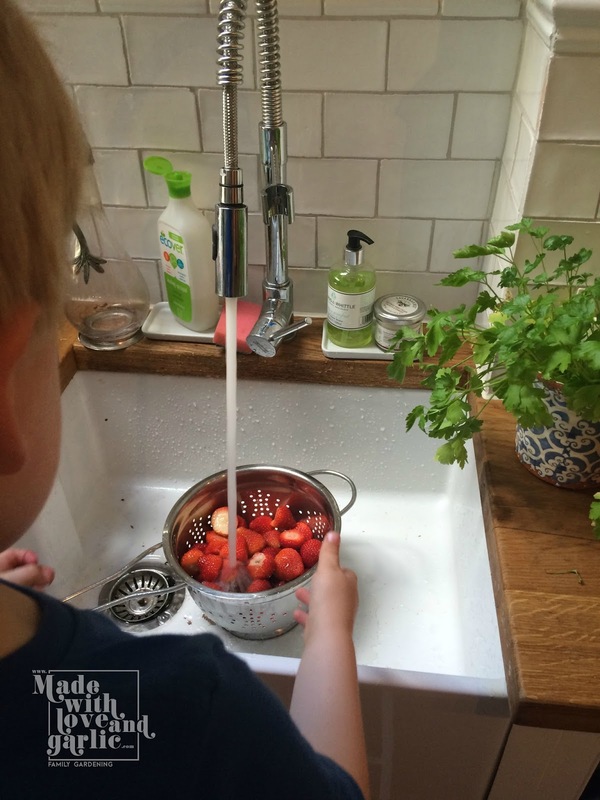 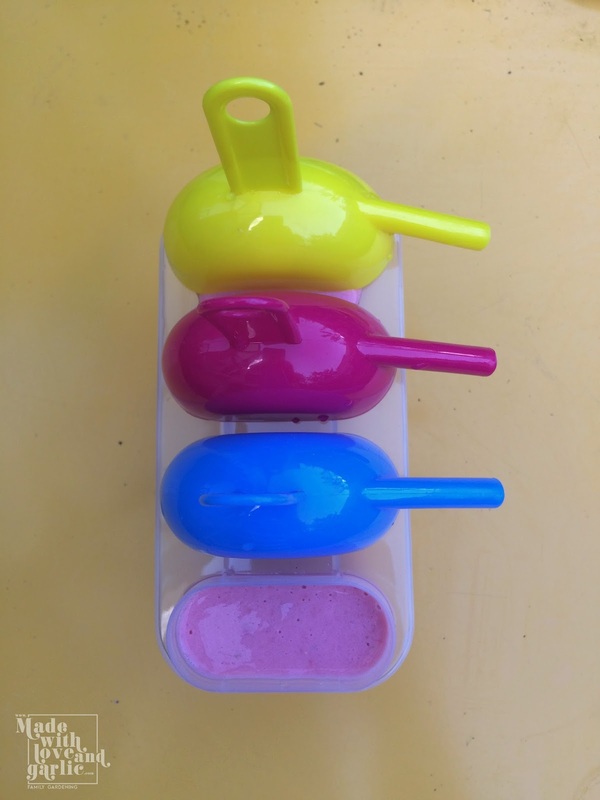 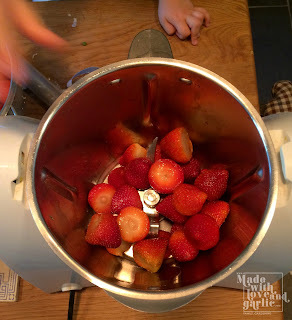 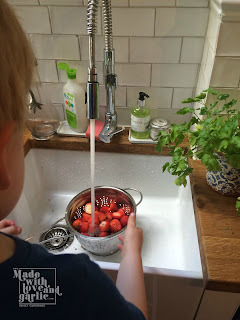 I like to make homemade ice lollies for GarlicBoy so that I can let him eat his fill without worrying about his teeth but to do that we needed considerably more strawberries than I could get at home. 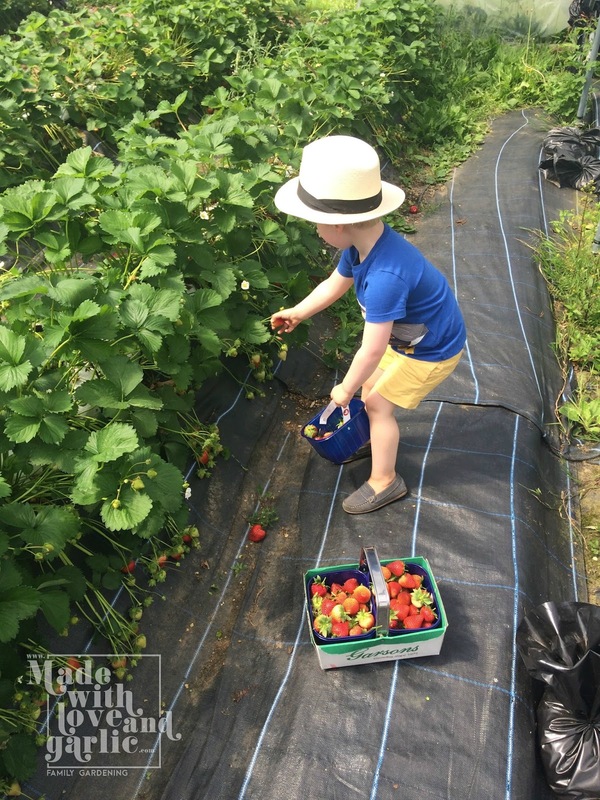 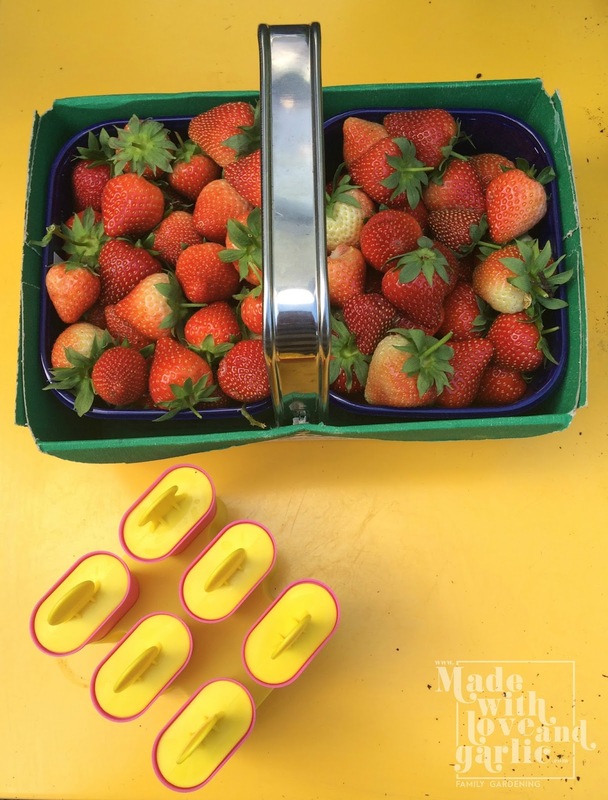 So we after picking the three ripe fruits from our own plants, we headed to our local "pick your own" farm and spent a very enjoyable afternoon filling punnet with fresh strawberries before coming home to turn them into delicious cooling treats.